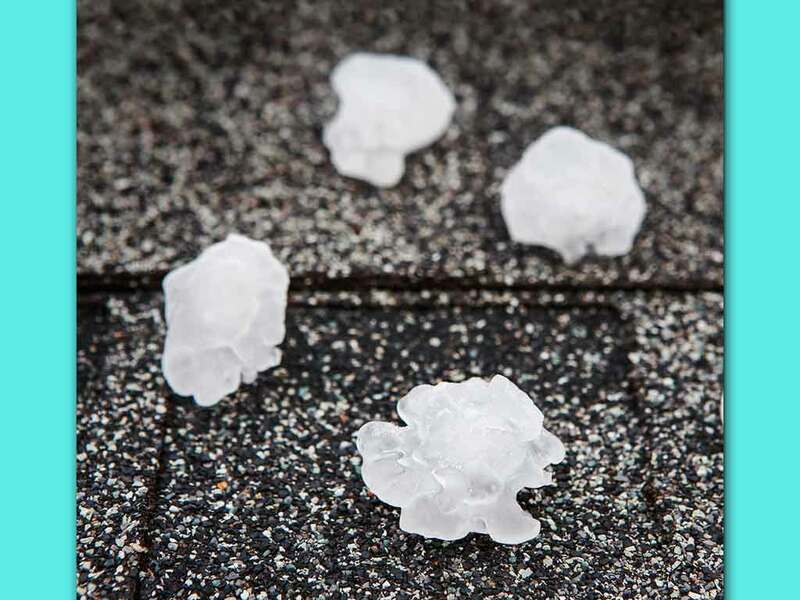 If you have no idea what hail can do to your roof, American Heritage Restoration will share why you need to act quickly after a hail storm. It isn’t really hard to imagine how a hailstorm can affect your roof. What most people expect is that the roof gets damaged due to the sudden impact, causing holes in the roof. Though this is not out of the realm of possibility, holes can cause leaks requiring roof leak repair. The biggest danger that hail damage causes, however, is long term. A single piece of hail that hits your roof would compromise your roof’s structural integrity, weakening it. Each hit loosens a small part of your shingles, and bigger pieces can chip away larger portions, even crack a shingle entirely. With thousands of hailstones hitting your roof during any given hailstorm, the roof’s surface area becomes significantly weakened. While this does not automatically cause leaks, it does make your roof more vulnerable to water damage when it rains. The small, negligible holes or structural weaknesses that hailstorms leave can become access points for water. Always consult with a hail damage contractor after a hailstorm. Be sure to ask how you can reinforce your roof to alleviate the effects of hail storm damage. If you’re in the Aurora or Englewood, CO, area, turn to American Heritage Restoration for hail damage solutions. Call us today at (303) 351-5331 or (719) 639-2201 to get started.